God has spoken and that’s final! Whatever the devil had declared over your marriage is not acceptable. 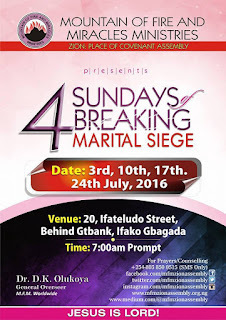 Its time to declare battle against MARITAL SIEGE IN YOUR MARRIAGE. 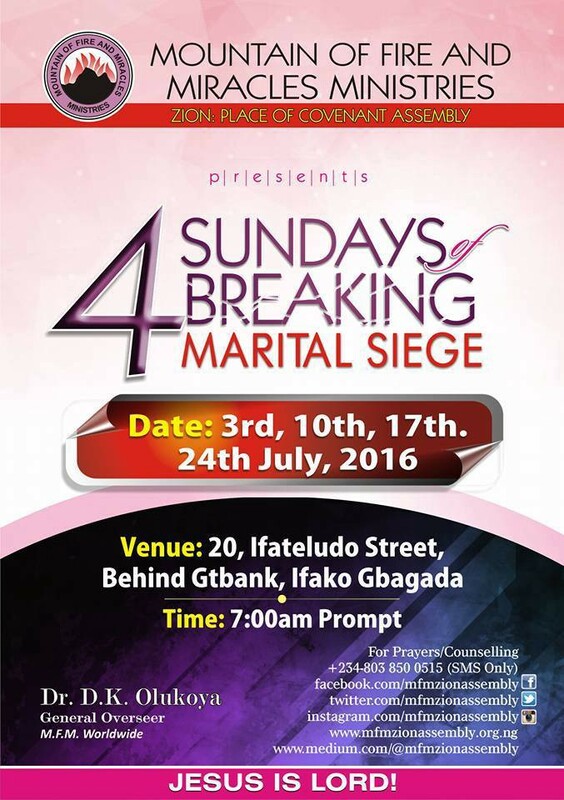 Venue: MFM Zion, 20 Ifateludo Street, Ifako Gbagada, Lagos, Nigeria.